Today’s savvy spa-goers expect to see results in addition to being pampered and feeling relaxed after visiting your spa! This is true for most services, especially facials, which target noticeable skincare issues such as fine lines and wrinkles, acne, rosacea, and hyperpigmentation, to name a few. The most popular handheld devices trending right now are cleansing brushes, LED red light tools, and microcurrent devices. The majority of handheld devices are used during facial treatments, and their use depends on the specific modality. “Most handheld tools are best used in conjunction with either the exfoliation portion of the treatment, after extractions, or with assisting in penetration of masks, serums, and moisturizers,” says Carey. Susanna DiSotto, director of marketing at Satin Smooth, warns that highly sensitive clients with acute rosacea using any type of stimulation may increase sensitivity. Also, using a handheld device on clients who suffer from active acne with open pustules might spread bacteria from one area to the next, so it is important that pustules be isolated and treated in sections, she says. According to Luu, noninvasive handheld devices help skincare professionals improve the efficacy of facials and maximize the comfort of their clients. 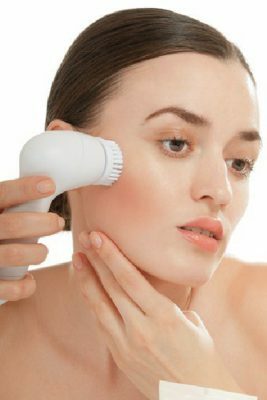 “The technology provided by handheld skincare devices can enhance a facial by providing painless extractions, gentle yet thorough exfoliation, and deeper penetration of appropriately formulated skincare products—offering benefits and results that cannot be achieved by hands and skincare products alone,” she says. Plus, they provide added value, giving clients more for their money, which keeps them satisfied and eager to return. 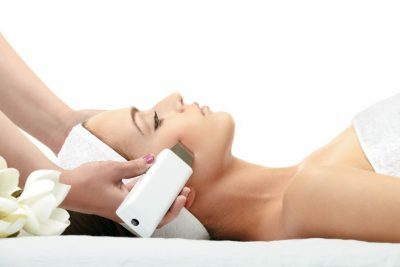 “We often hear that clients feel that the use of modalities within treatments including handheld tools add a sense of extra value,” says Carey. River Valley Skin RN, Amanda Neagles, utilizes many of these different tools during her custom facials- galvanic current (also called micro-lift), facial cleansing brushes, and handheld facial steamers are just a few of the great options for your facial at Rock House Salon, INC! Call (479) 968-HAIR (4247) today! What do YOU think about this new trend in skincare? Leave your opinions in the comment section below!